Personalized M&M'S Chocolate Candies are a great way to customize your wedding favors, birthday party, or give as a creative gift. Salute someone's big day with a little piece of your heart. Custom Print your own heartfelt message on MY M&M'S®. And with 22 colors to choose from, you're sure to find her favorite hues. So go ahead, put your feelings into words today! 20% Off 40+ Favors // 25% Off 100+ Favors // 30% Off 140+ Favors *20% Off 40+ Party Favors, 25% Off 100+ Party Favors & 30% Off 140+ Party Favors. Minimum purchase of 40 party favors or tins required. Excludes NFL, MLB, M&M'S® merchandise, Classic M&M'S® packs and bars, flavor vote packs, clearance and sale items. Offer expires 04/20/19 at 11:59 PM PT. Offer may not be combined with volume pricing or any other promotional offers and may not be applied to existing orders. Offer may be subject to change. Use code PARTYON at checkout. 15% Off Bulk Candy & DIY! with Code 15GRADBULK *15% Off Bulk Candy & DIY Kits. No minimum purchase required. Excludes NFL, MLB, M&M'S® merchandise, Classic M&M'S® packs and bars, flavor vote packs, clearance and sale items. 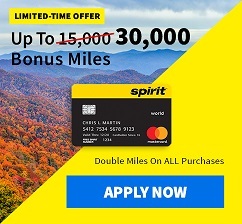 Offer expires 04/20/19 at 11:59 PM PT. Offer may not be combined with volume pricing or any other promotional offers and may not be applied to existing orders. Offer may be subject to change. Use code 15GRADBULK at checkout.